Many colors possible to fit the storage appearance. 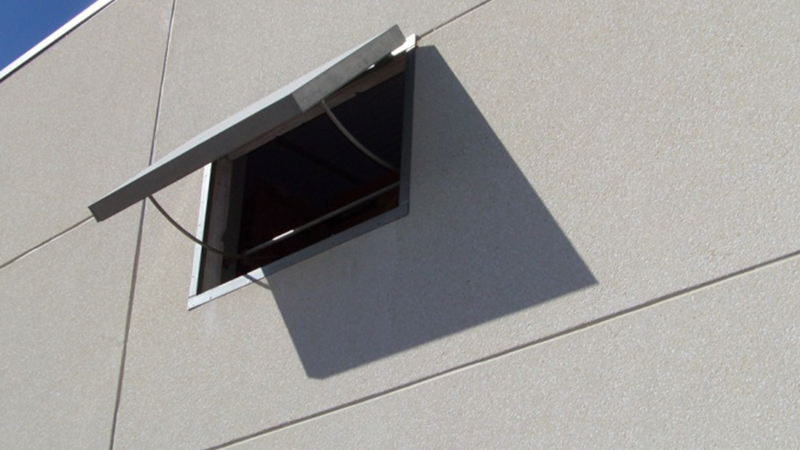 Ventilation with outside air requires air inlet hatches and consequently air outlet hatches. 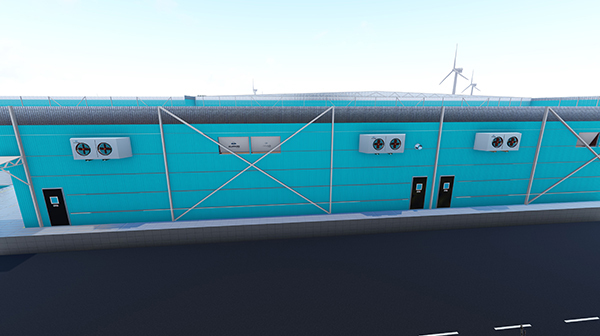 The air inlet hatches are located near to the fans and are used to create an optimal mix between internal and external to achieve an optimal air flow to the product. 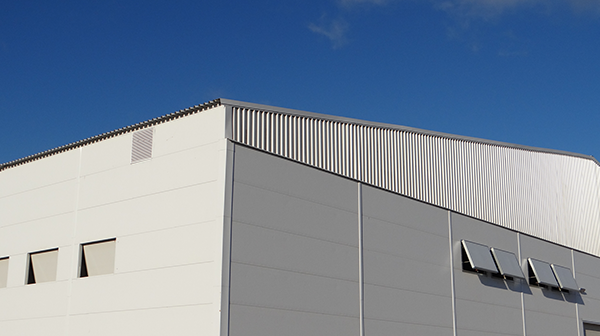 Allround produces the hatches in their own factory. 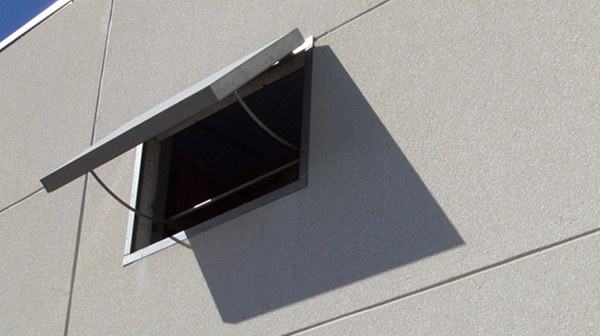 With the help of a mixing box construction around the air inlet hatch, the amount of internal and external air can be regulated. The storage controller knows the ideal conditions of the air that is required by the produce. By opening the hatches with pulses the hatch will be placed in optimal. The length of the pulse depends of the outside temperature. When it is very cold the pulse will be short to avoid too cold air entering the store.